Milkwood Manor on Sea’s Georgian-styled building is designed for spaciousness, reflecting the vast unlimited landscape surrounding it, without sacrificing its ambiance or intimacy. This is epitomized by the airy double-storeyed foyer, the large yet cosy restaurant, the private patios and balconies, and large breakfast and sundowner terrace, that afford spectacular views over the Indian Ocean, Keurbooms River Mouth, Keurbooms Lagoon and Tsitsikamma Mountains. Milkwood Manor on Sea offers direct beach access, 180 degree views of ocean, lagoon and wooded hills hugging the Tsitsikamma Mountains. 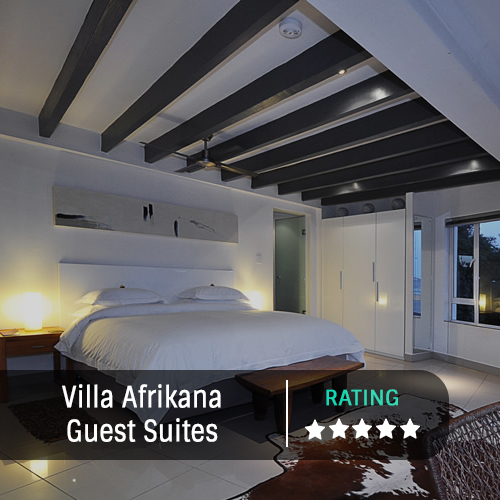 Milkwood Manor on Sea offers four-star accommodation alongside the beach and the Keurbooms lagoon. The hotel is a gorgeous Georgian-styled building situated on its own small peninsula at the end of a quiet cul-de-sac. It has two lounges and eleven double bedrooms that are spacious, private and romantic, and nine of the rooms have a balcony or a private patio. Free uncapped WiFi is available. Within the building is the Lemon Grass Seaside Restaurant, known for its international award-winning cuisine. It is large enough for a hundred people, yet still radiates a cosy and friendly atmosphere. Its large breakfast and sundowner terrace offers truly spectacular and uninterrupted views over the ocean, of the Tsitsikama Mountains and of the lagoon. Milkwood Manor on Sea is ideally located for plenty of nearby activities. Guests can use the stable double kayaks for free, or can go visit the trendy shops of Plettenberg Bay, which are just a minute’s drive away. It is central to many of the attractions along the Garden Route, and therefore guests can stay for a couple of weeks and easily go out exploring. Milkwood Manor on Sea is also well-known as a beautiful location for beach weddings. Plettenberg Bay highlights everything that’s best about the Western Cape and the South African Garden Route coast. From Plett’s seaside restaurants to the Crag’s hillside vineyards, from wildlife at Plettenberg Bay Game Reserve, Monkeyland, Birds of Eden, Tenikwa and The Elephant Sanctuary to Plett’s perfectly groomed golf courses, from the Tsitsikamma Forest to Robberg Peninsula’s indigenous fauna and flora, Plettenberg Bay has a feast of fun just waiting to be sampled. You’ll find more than 100 organised leisure activities in the Plettenberg Bay area. Golf, canoeing, hiking, kayaking, horse riding, sky diving, bungee jumping (the world’s highest), abseiling, bird watching, game reserves, whale watching, marine safaris, animal sanctuaries and wonderful beaches (including a blue flag status)… whatever you want to do today, you’ll find it’s perfect in Plettenberg Bay.